Bobbi Brown has released another collection this fall called Black Velvet consisting of new lipsticks, creamy lip colors, eyeshadows and kohl eyeliner pencils. 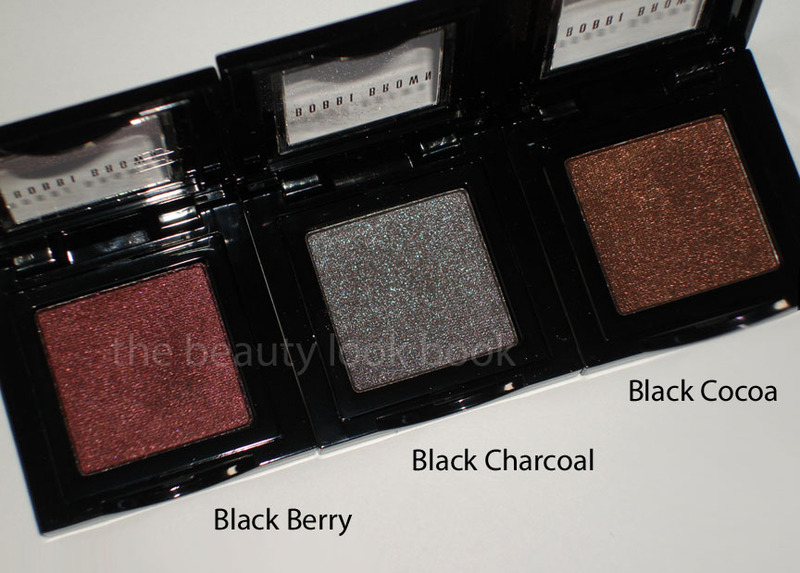 The standouts to me were the three Metallic Eyeshadows Black Berry, Black Charcoal and Black Cocoa ($20 each). 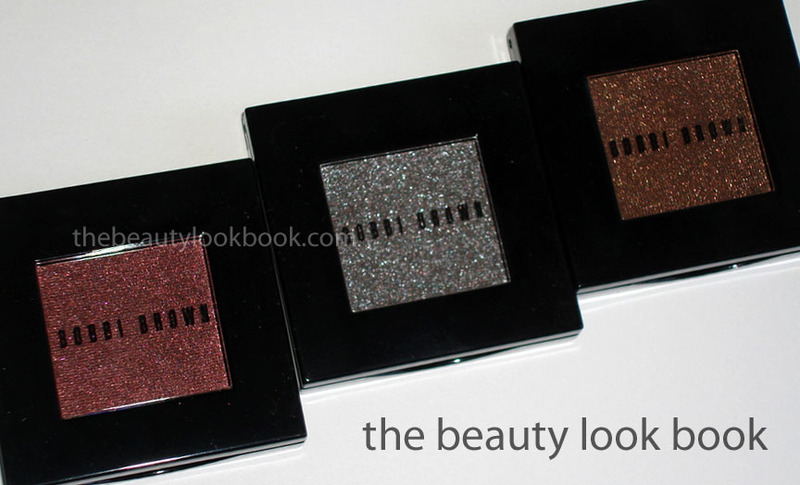 Those familiar with the Metallic Eyeshadows from Bobbi Brown know they have a luxurious texture – soft, pigmented and easy to blend. 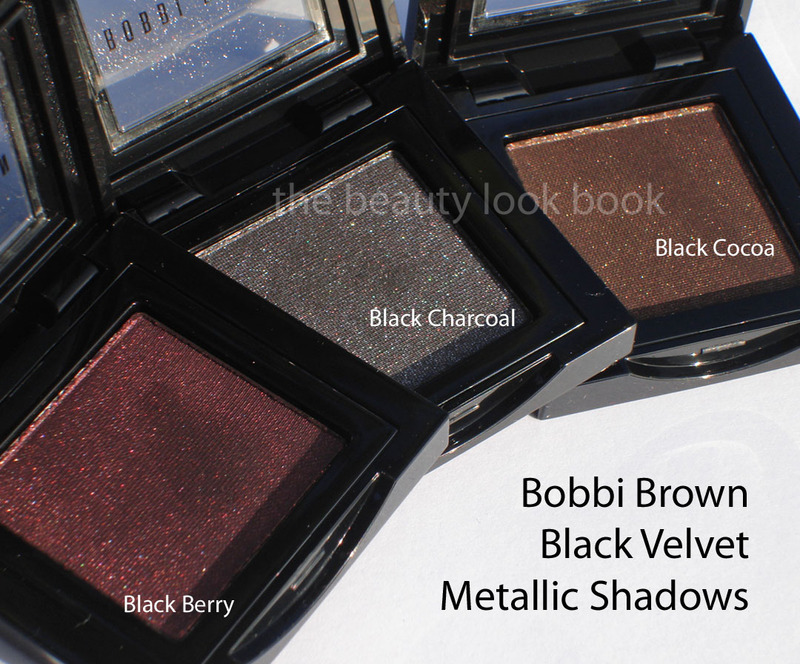 The new Metallics from the Black Velvet collection seem a bit different from her usual formula. They’re a bit harder in texture with a black base and different colored sparkles. 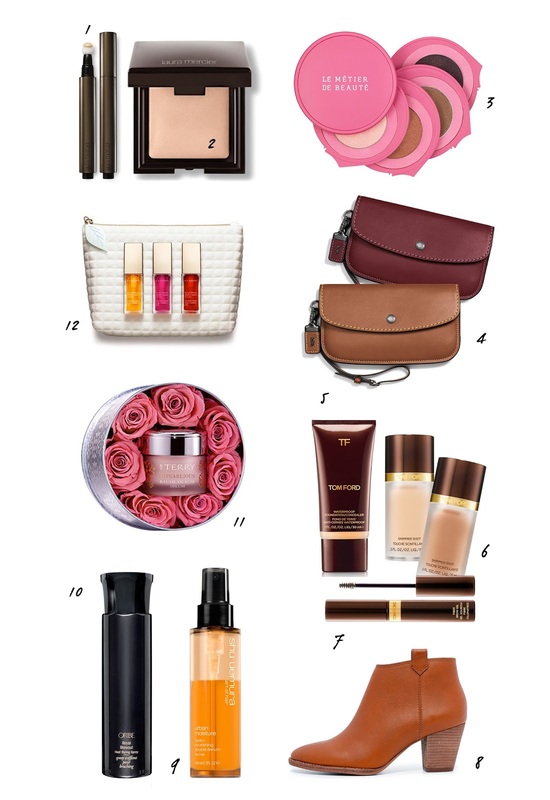 The colors show up well when swiped on the finger but seem sheer when applied on the skin. 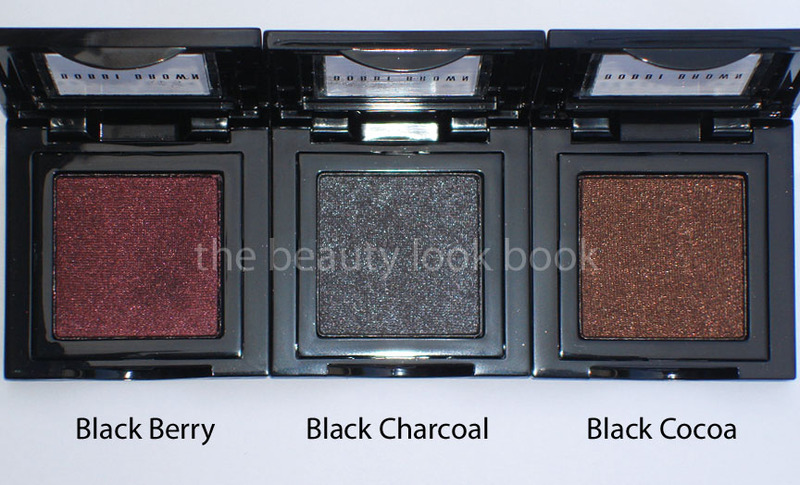 They remind me of NARS Night Shadows – black base, sheer sparkle. I recommend that you apply these over a cream-based product such as a darker cream shadow or eyeliner – something a bit more emollient to pick up the actual color. 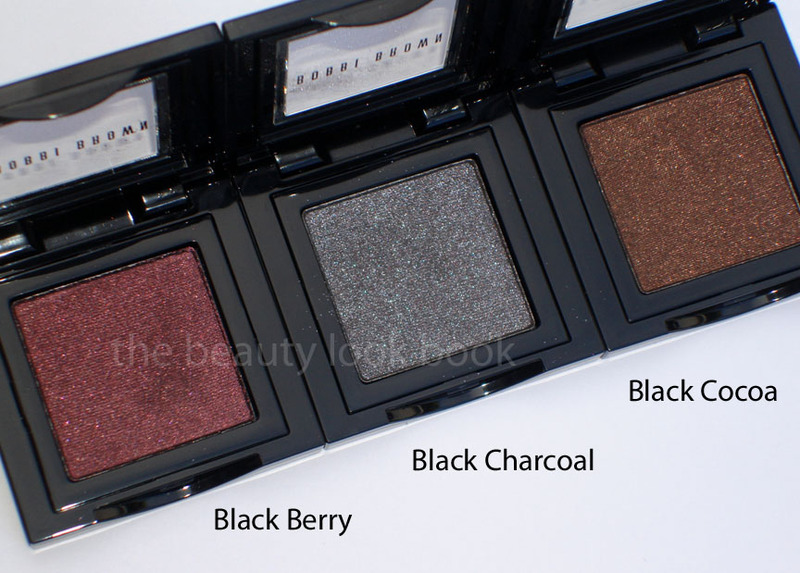 Overall gorgeous and unique for Bobbi Brown – at least compared to all her other eyeshadows but I was disappointed in the finish of these eyeshadows because I was expecting the soft velvety texture that her Metallics usually have. 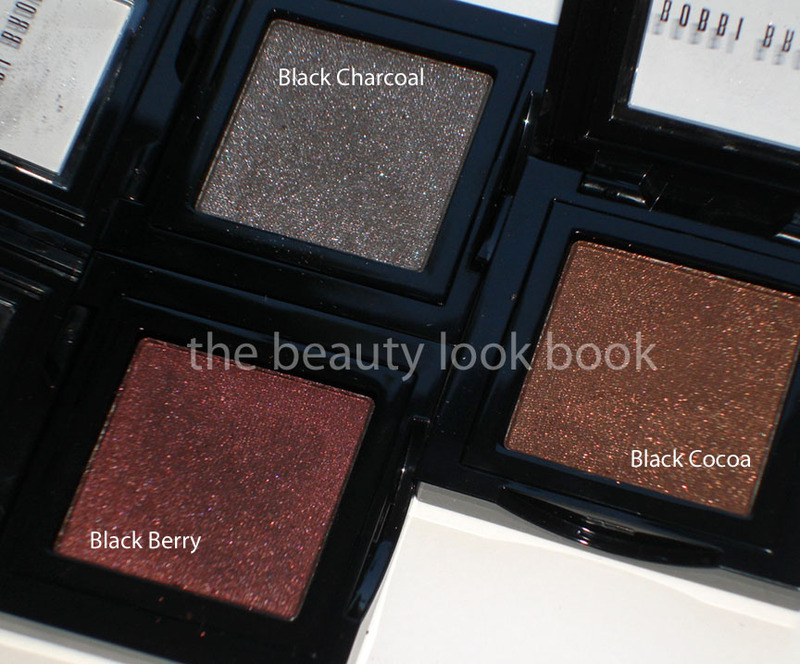 When I think of the name of the collection Black Velvet, I think rich and lush textures and pigments. These are more of a soft smoke type of finish. 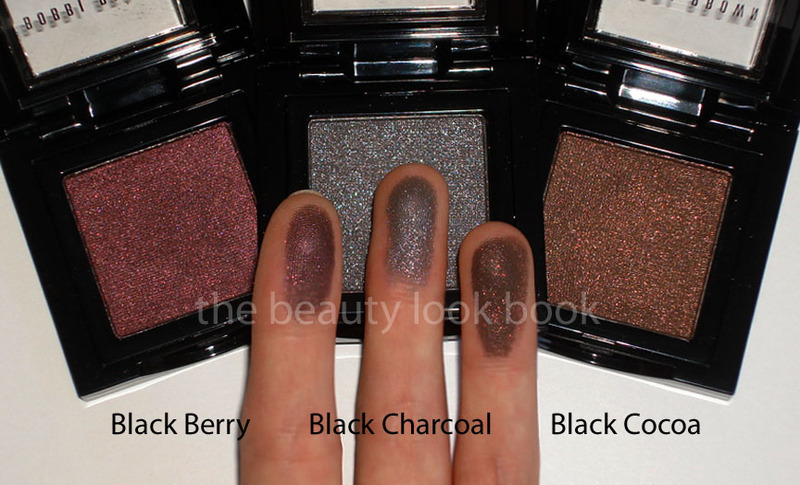 Still good for a soft smokey eye, but alone, the colors are more subtle and you’ll get a slightly different variation of greyed black on the eyes with subtle bits of sparkle. To bring out the color you’ll need to use them over a cream base. I wouldn’t recommend using them wet simply because I think a wet brush will ruin the surface and texture of the eyeshadows. Perhaps using a soft damp brush might work, but I personally wouldn’t risk it. I was able to test them out at the counter and wasn’t quite sure if my fingers were just picking up the colors weird but after getting home and playing around with them a bit, I found out that they were indeed not the typical metallic finish. I put Black Charcoal on my eyes as soon as I got home and it seems like even with a base it’s hard to see the shimmer. Bottom line is that I’ll need to experiment more with these. I think the intended result is a soft smokey eye rather than a shimmery smokey eye. 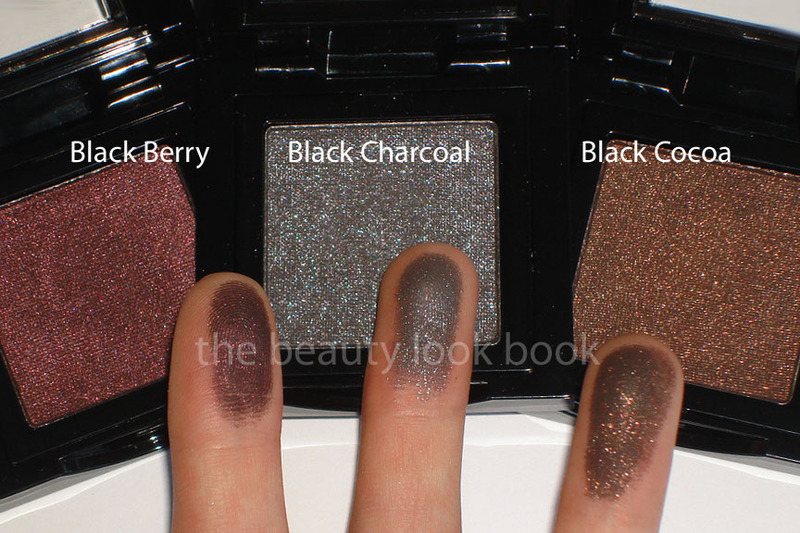 This may be very much like last year’s Style Black collection from MAC, which took me a few tries to figure out just how to apply them on the eyes the right way. So don’t write them off simply because I don’t know how to apply these. My regular Bobbi Brown artist wasn’t at the counter today when I stopped by so I didn’t get a chance to have her apply these on me. I’ll probably go back in the next week or so and ask for her tips. She’s a genius when it comes to applying makeup. 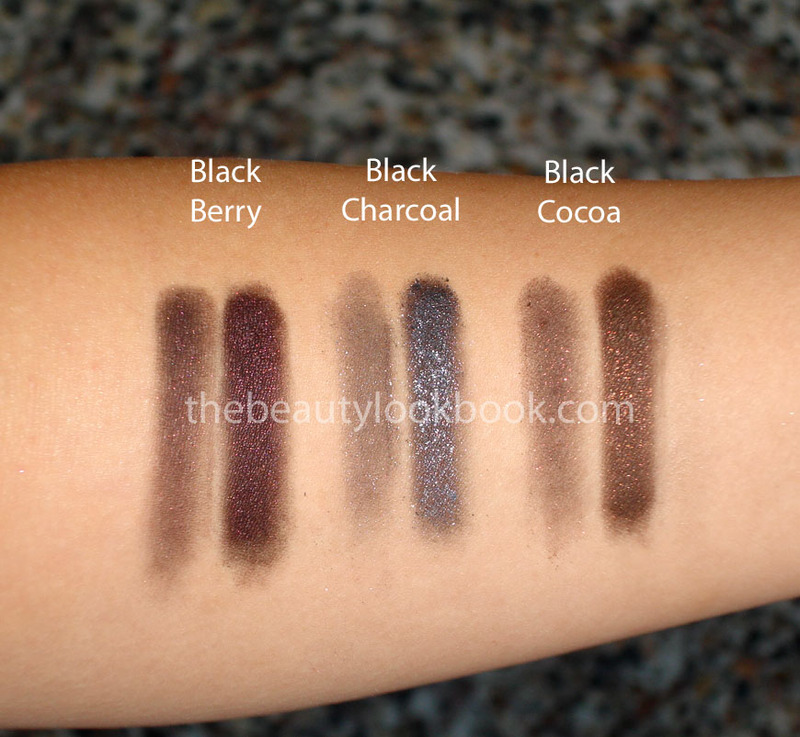 I passed on the other 2 matte shadows, I personally prefer the texture and color of Caviar and Smoke. The sparkle shadows that were supposed to be released were not at the counter yet. 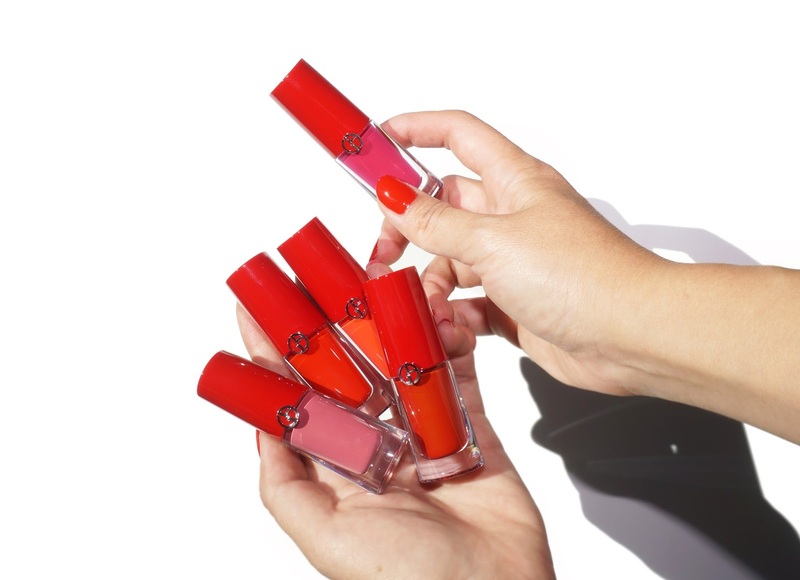 The lipgloss seemed really sheer. 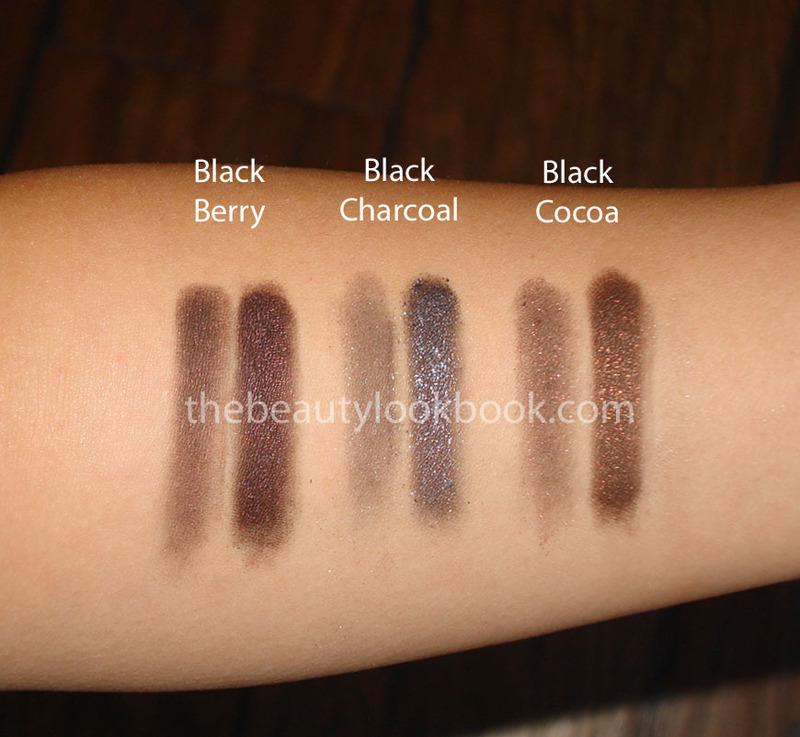 The creamy lip colors were black and then another that reminded me of Clinique’s Black Honey which I might go back for. I didn’t try the new lipstick or metallic lipstick. The Eye Kohls seemed pretty basic and I prefer her gel liners so I skipped those.